Hi, running 3.5.1349 on my Q6600 (old 2.4GHz quad-core) with 6GB RAM and Geforce GTX 550 Ti. I was running SMG fine in DX9 without issues for about a week. Today in an effort to get some better settings ( I run on plain old Native with AA and filtering turned off), I decided to play with the game config list " (the list that shows up when you right-click on the game in the list and select "properties). Now, right after I select a player it gives me the error "Failed to compile pixel shader! This usually happens when trying to run Dolphin with an outdated GPU..."
I have set all the checkboxes for the game config back to "undetermined," deleted the .ini file for SMG from the User/GameConfig folder, as well as all the .inis from the User/Config folder. Still happens. SMG1 is the only game where this happens, and I can get it to run in DX11 and OpenGL, although the sound is choppy and I get frame rate slowdowns (especially in DX11 -odd that Open GL works better). It's only DX9, and it's only since I messed with the game config settings. Here's the error and dumpfile in attachments. Any idea what I did? Thanks! If what you say is true, deleting the entire build and downloading Dolphin again should solve your issue. 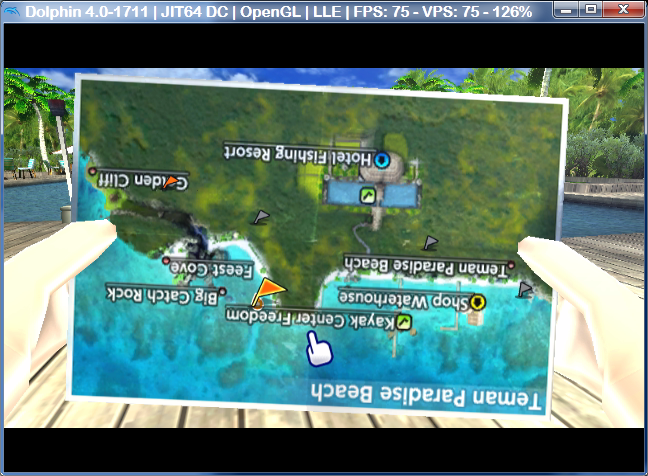 The game'll run better under OpenGL if you have "Hacked Buffer Upload" checked. DX9 might still be faster, though. Wow, thank you. Those were fast replies. I thought about just deleting and reinstalling Dolphin, but I didn't want to lose all my saves. Is there a way to keep those? "Hacked Buffer Upload" helped a little, but not enough. It sill ran better under DX9. (05-20-2013, 11:48 PM)RickyEarl Wrote: I didn't want to lose all my saves. Is there a way to keep those? GameCube saves and Wii saves are in User/GC and User/Wii, respectively. Excellent. Thank you very much. Was worried that I would accidentally keep the suspect settings when I re-installed if I copied too much over. It's pretty unlikely that the rest of your Wii NAND would be causing the issue. If you have a NAND dump or any installed WADs, you'd best take the whole Wii folder. OK, this is just weird. I deleted and reinstalled Dolphin. Now it works fine in DX9 with a save I created since reinstall. With my old save I still get the pixel shader error.